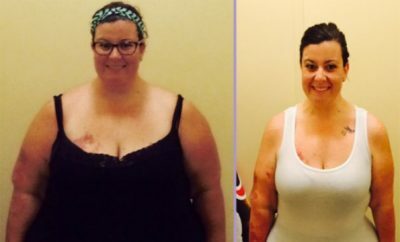 How I Gained It: I had stopped caring and ate and drank whatever I wanted, including lots of fried food and as many as four to six sodas a day. I was relatively sedentary and spent most of my time at home. Breaking Point: I cleaned up my life and was working on other personal areas of development. I had found sobriety and through looking inward at where I was at in my life, I could see that my body really was a representation of physical and emotional health. As I started to treat myself better and really learned how to love myself, I saw how neglectful I had been to my body, and I realized that to be a happy and healthy person I needed to take care of myself in every way possible. I finally reached that point where I couldn’t turn a blind eye to reality and had to look at myself in the mirror. How I Lost It: Hard work and dedication. I think I embraced the weight loss with an “all in” attitude. I started by working on my eating habits and taking out soda and sugars and focusing on organic, clean cooking and just daily walking to get me going. I lost about 30 pounds through that shift. Then I joined the website called DailyBurn, which streams video workouts in a variety of disciplines straight to my computer. I had a daily exercise system in place to keep me active and keep me motivated. It gave me structure and gave me a guide. I really had no idea how to exercise. 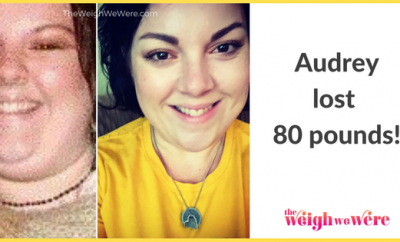 With a daily practice and with proper eating, the weight melted away. 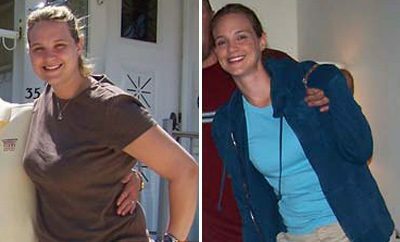 RELATED: Weight Loss Success Stories: Lorraine Lost 56 Pounds At 50! Now, I’m free to live my life — and I have a life now. An active life. I don’t know that I was really doing too much living previously. I no longer have to say no to things because I’m not inhibited by my weight or my mobility. I can keep up with anyone, and I’m also just a more adventurous person in general. I compete in Tough Mudder events, and I used to be a couch potato. I take on challenges, and I want to get out there and do things. Who knew I liked to be outdoors? Not me, but apparently I do. I’m fun and I’m happy. 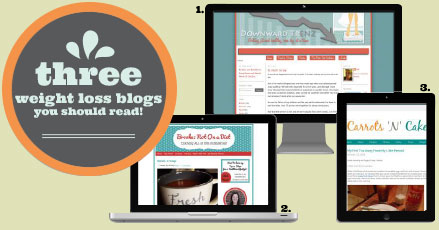 3 Weight Loss Blogs You Should Read!